U4IoT (User Engagement for Large Scale Pilots in the Internet of Things) brings together 9 partners from 5 European countries. The objectives are to develop toolkit for LSPs end-user engagement and adoption, including online resources, privacy-compliant crowdsourcing tools, guidelines and an innovative privacy game for personal data protection risk assessment and awareness, online training modules. 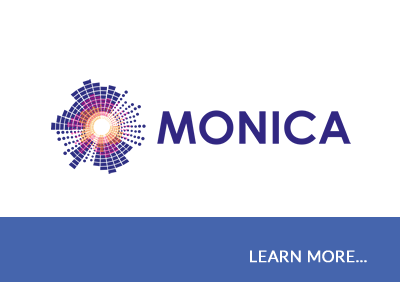 The partners provide direct support to mobilize end-user engagement with co-creative workshops and meetups, trainings, Living Labs support, and an online pool of experts to address LSPs specific questions. 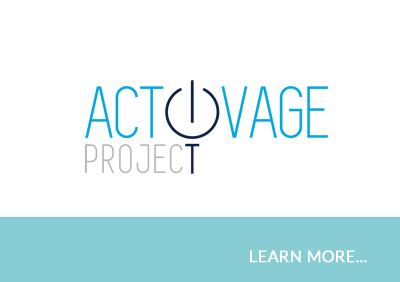 The project analyses societal, ethical and ecological issues and adoption barriers related to the pilots with end-users and make recommendations for tackling IoT adoption barriers, including educational needs and sustainability models for LSPs and future IoT pilots deployment in Europe. The activities are supporting communication, knowledge sharing and dissemination with an online portal and interactive knowledge base gathering the lessons learned, FAQ, tools, solutions and end-user feedbacks. Sweden: LuleaTekniska Universitet , Belgium: Interuniversitair Micro-electronica Centrum IMEC VZW, European Network of Living Labs, Netherlands: Stembert Design. Serbia: DunavNET Switzerland: Martel GMBH, Mandat International, Archimede Solutions SARK. With an expected 50 Billion connected devices by 2020, the Internet of Things (IoT) will reshape our environment with great economic opportunities. However, the IoT market evolution will depend directly on the end-user adoption. U4IoT will support the Large Scale Pilots (LSPs) of the IoT-1 call in order to actively engage end-users in the large scale pilot design, deployment and assessment. It will enable a citizen-driven process by combining multidisciplinary expertise and complementary mechanisms from the European state-of-the-art. It will also analyse societal, ethical and ecological issues related to the pilots in order to develop recommendations for tackling IoT adoption barriers, including educational needs and skill-building. 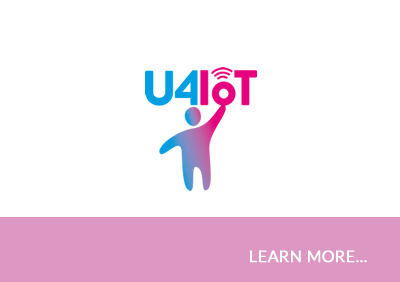 U4IoT combines complementary expertise from leading European partners in end-user engagement through crowdsourcing, Living Labs, co-creative workshops and meet-ups to support end-user engagement in the large scale pilots. The content of the website is maintained by the U4IoT project, represented by DunavNET. The views expressed on this website reflect the views of the editors. The European Commission is not liable for its content and the use that may be made of the information contained herein. Project objectives are to support and enable better and more impactful end-user engagement in LSPs. U4IoT will provide the pilots with cutting-edge end-user engagement methodologies, including co-creative workshops, crowdsourcing and Living Labs. It will provide online tools and resources for end-user engagement, crowdsourcing and personal data protection. The project will provide direct support to the pilots, including training and coaching. A knowledge database will enable to collect, mutualise and capitalise on end-user engagement feedbacks and experience. Co-creative and crowdsourcing methodologies will enable the pilots to engage end-users at a very early stage in the process. 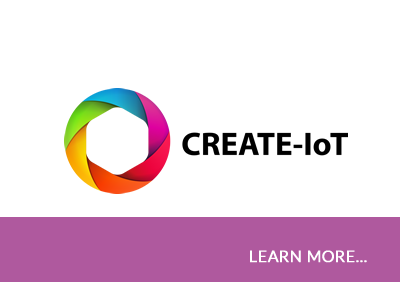 U4IoT will assist LSPs to increase the level of end-user engagement in their whole projects. 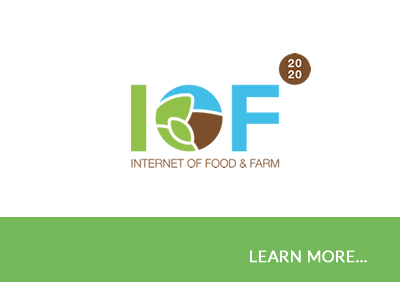 The set of tools and the community will be maintained beyond the duration of the project with the support of the IoT Forum (Figure U4IoT Overall Concept). 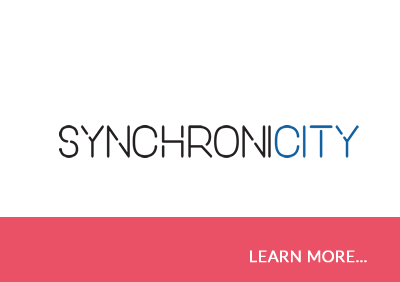 Cutting-edge end-user engagement methodologies, including co-creative workshops, crowdsourcing & Living Labs. Online tools and resources for end-user engagement, including crowdsourcing tools, personal data protection tools & online resources. Direct support for end-user engagement through onsite and online actions, workshops, trainings, coaching and a pool of experts. Support and mobilise end-user engagement by training and supporting LSPs teams to facilitate co-creative workshops; organise meet-ups and train meet-up animators; training on the use of crowdsourcing and crowd-sensing tools in an efficient and privacy friendly manner, in line with IoT Lab tools; and presenting and facilitating Living Labs support. U4IoT will provide an online pool of experts for end-user engagement; and online training modules. 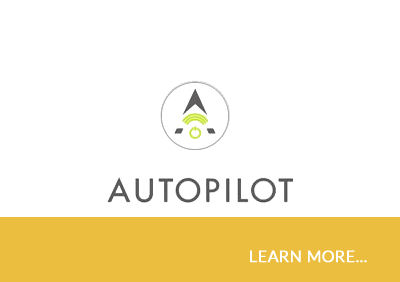 Analyse societal, ethical and ecological issues related to the pilots with end-users and make recommendations by analysing IoT adoption barriers and making recommendations for tackling IoT adoption barriers, including educational needs and skill-building. It will leverage on end-user interactions to design participatory sustainability models that can be replicated across LSPs and future IoT pilot deployments in Europe. Support communication, knowledge sharing and dissemination, including: an interactive website, with online tools as well as an online knowledge database with lessons learned, FAQ, solutions and end-user feedbacks. It will support the end-user communication and outreach strategy for LSPs and will enable information sharing and feedback towards LSPs and end-users. The target group of U4IoT are LSP partners and the objective of U4IoT is to support LPSs to engage end-users through their whole development processes. End-user engagement in the design phase of LSPs U4IoT will provide methodologies, such as the co-creative workshops, that will enable pilots to involve the local end-users from the very beginning of the project. End-user engagement in the implementation phase of LSPs U4IoT will provide a whole set of tools to proactively engage end-users in the design and implementation of the pilots. End-user engagement in the exploitation and assessment phase LSPs Privacy-friendly crowdsourcing and survey tools will enable pilots to monitor the end-user perception and acceptance during the implementation phase. It will enable the pilots to identify issues to be addressed in order to maximise the end-user acceptance and satisfaction.